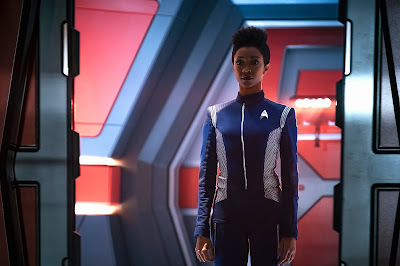 Entertainment Weekly have revealed a couple of new images from season two of Discovery; the first stills from the season in fact. 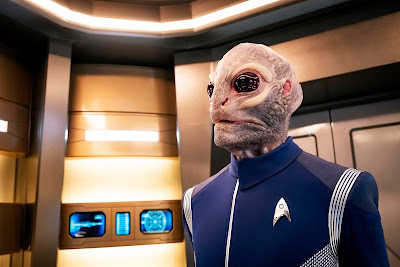 Among them we get our first look at the first Saurian to come to on-screen Star Trek since the species was introduced in The Motion Picture. 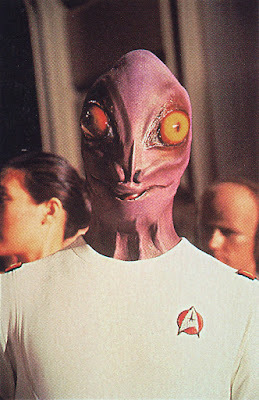 Our new Saurian is a science officer called Linus, and the image comes from the San Diego Comic Con edition of Entertainment Weekly, which TrekMovie were good enough to scan this image from. UPDATE: CBS have now released higher quality versions of the two new images, and revealed Linus is played by David Benjamin Tomlinson, who played a couple of Klingons in season one. 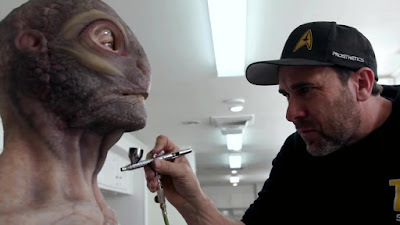 We have seen a glimpse of this character before, in the make-up chair, in the previously released video to mark the start of production of season two. This looks like a really great update of The Motion Picture design, retaining the general feel while giving the Saurian a bit more texture in its new scaly skin. Alas the bright yellow eyes and purple skin have been toned down a bit in translation! A second image has been released online as well as in print, so we can see this shot of Burnham in all it's crispy clear glory. Notably it is captioned "Season Premiere: 2019", so I guess that confirms we shouldn't expect any episodes to arrive this side of new year! ...we’re really going to be digging into family. A lot of questions are going to be raised; some are going to be answered. In other season two news, Deadline recently reported on a few more changes behind the scenes: James Duff has joined the series as an executive producer, as part of a more wide-ranging development deal he has signed with CBS TV Studios. Duff is the creator of long-running series The Closer and its spin-off Major Crimes, and his other previous TV credits include writing Enterprise's Fortune Son. Olatunde Osunsanmi, who directed two episodes of season one, and was co-executive producer, has been upped to executive producer and will also work on set producer/director during season two. And Writer Jenny Lumet apparently initially joined the series this season as consulting producer has now become a co-executive producer! Lumet's previous credits include writing Rachel Getting Married, and a story credit on the latest reboot of The Mummy. Still, this doesnt look like the NCC-1701, like we saw her at the end of season 1 - are they going to refit her to the enterprise we all know in season 2? 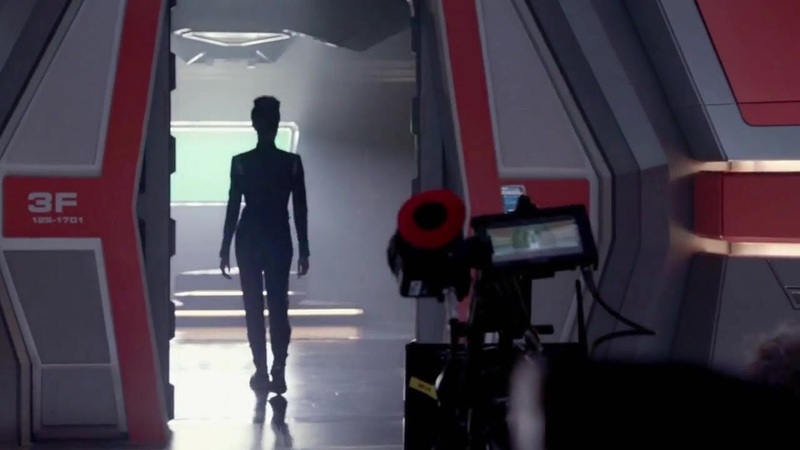 And when Burnham is going to enter Spock´s quarter's, this also dont look like the Enterprise.